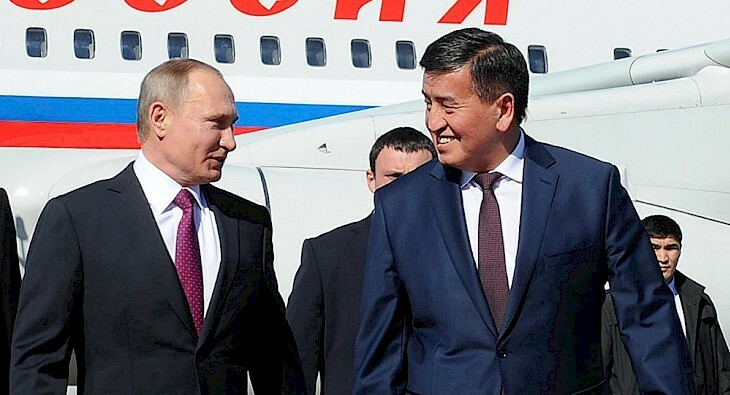 BISHKEK, Kyrgyzstan – Kyrgyzstan’s new president, Sooronbai Zheenbekov, who took office on November 24, said that his country wants to “enhance relations” with Russia. “We are going to enhance relations of alliance with Russia – Kyrgyzstan’s main strategic partner. China, too, remains an important strategic trading and economic partner,” he said. “Of course, we will go ahead with cooperation with the European partners, in particular, in such matters as the strengthening of parliamentarianism and implementation of the national program of digital transformation Taza Koom (Transparent Society),” Zheenbekov said. He claims the world “is getting more complex with every passing year”, which is an effect of the world economy’s slowdown and upsurge in international terrorism and religious extremism. “Growing globalization and integration processes, too, make amendments to the nature of inter-state relations, which begin to complement each other,” he said.